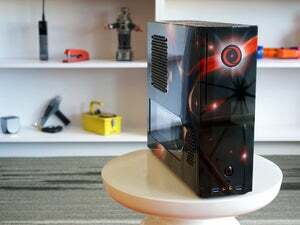 Modeled after an F-117 stealth attack aircraft, the case alone costs $400, and wait'll you see what's inside. It’s a little ironic that Stealth Machines' new custom gaming PC, the NightHawk 2, is styled after a plane that was never intended to be seen. The Air Force’s F-117 “stealth fighter” was designed to be nearly invisible to radar, and flew only at night initially to further avoid detection. Stealth’s homage to this aircraft, though, is a brash desktop box that you couldn't miss on a desktop or even on the floor. The Air Force F-117 “stealth fighter” is the inspiration for Stealth Machine’s NigthHawk 2. Stealth Machines has done a pretty good job of capturing the F-117’s aesthetic. The body is constructed of laser-cut panels that have been welded together to echo the plane's faceted surface. But it's a PC with many components to accommodate, so not surprisingly, the proportions of the machine are far boxier than the actual plane's. To some, it might look like one of those kids’ toys that aren’t built to scale. 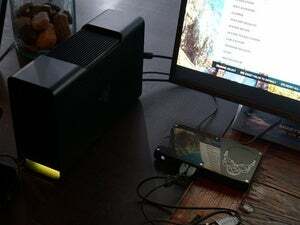 The Stealth Machines NightHawk 2 in landing, or horizontal desktop, mode. You’ll need a lot of room on your desk. 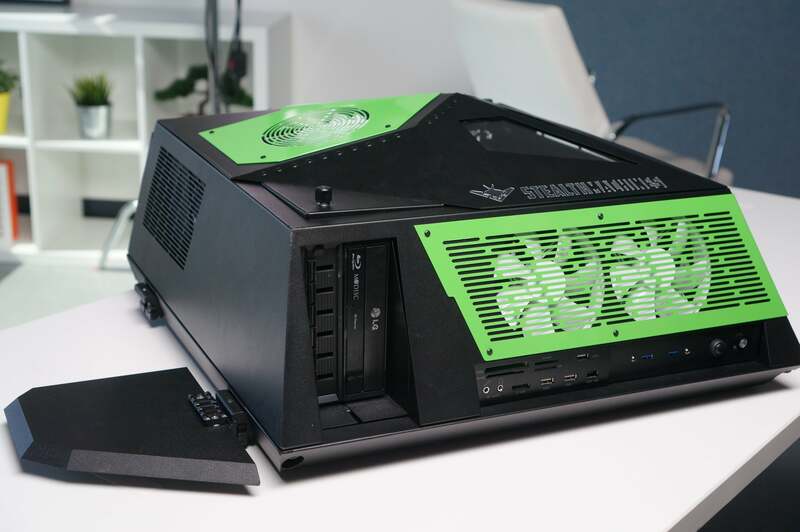 Here’s the right side of the NightHawk 2, where you can see the front ports and optical drive. The NightHawk 2’s stubby wings add to its cartoonish quality. The wings attach using a Picatinny (MIL-STD-1913) rail system that lets you remove them or change their angle. A standard Picatinny rail attaches the aluminum “wing” to the case. Why move the wings? 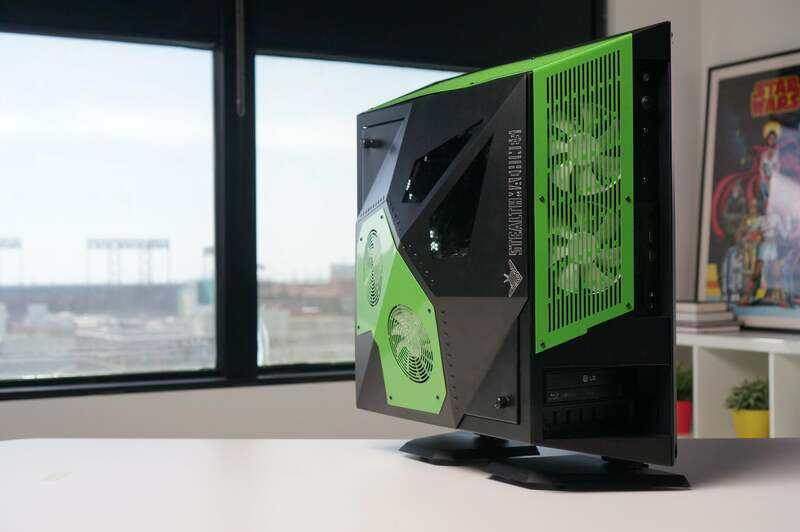 Stealth Machines knows most people aren’t going to want to lay this machine flat on a desk. It is, after all, the size of a full-tower or super-tower case—you probably couldn’t fit your keyboard, mouse, and monitor alongside it. To convert the NightHawk 2 to vertical mode, simply unclip the wings, reorient them, and the NightHawk 2 will stand on end—where it bears a passing resemblance to the slightly ungainly Huey, Louie, or Dewey robots from the movie Silent Running. The Stealth Machines NightHawk 2 in vertical mode. 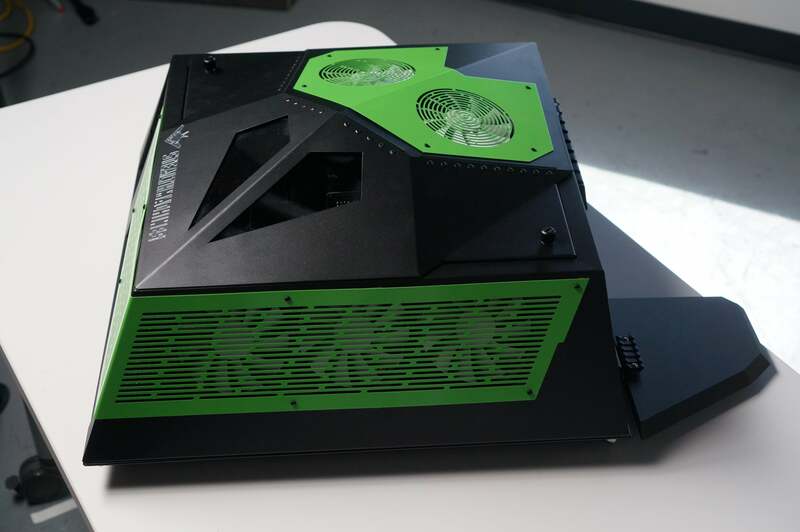 The case itself is designed to be modular, and Stealth Machines says it hopes to market it to case modders. 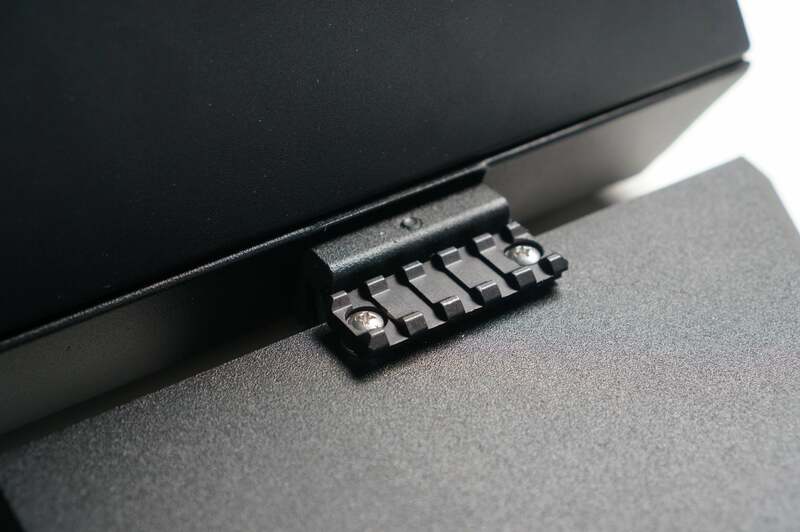 For example, loosen four bolts at the corners and you can lift off not just the lid but the entire top section of the case, giving you far easier access to the internals. The chassis itself allows drive bays to be removed and reconfigured, depending on the size of the motherboard and placement of the drive cages. The company values the case at about $400, but it can't be purchased alone. You’ll have to buy an entire system to get the enclosure. Don’t underestimate what this case can hold. 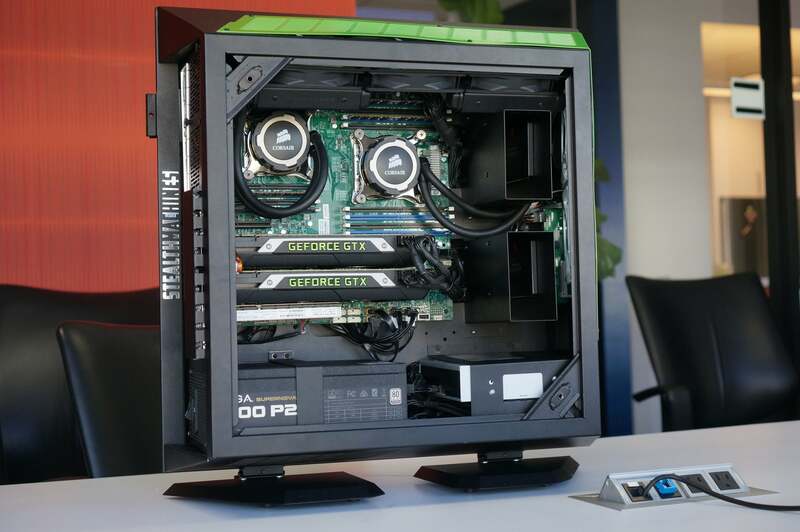 This config consists of dual Titan X cards, 24 CPU cores in two Intel Xeon CPUs, and 128GB of RAM. 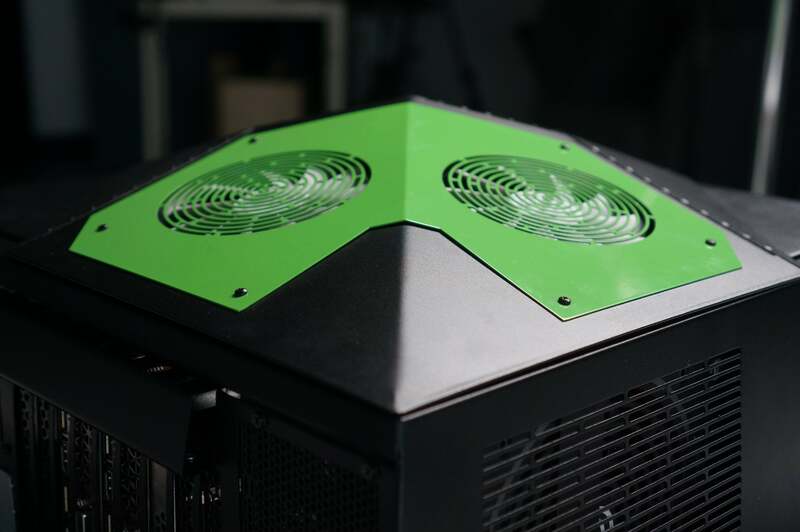 The case you see here is one of the prototypes and was built to spec for a customer. 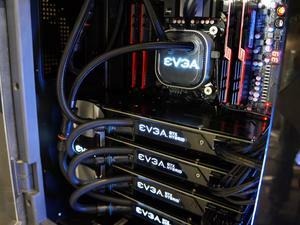 Inside are a pair of 12-core Intel Xeon chips, two GeForce GTX Titan X GPUs, 128GB of DDR4 RAM, an Intel 750-series PCIe NVME SSD, four Samsung 850 Pro SSDs, plus an optical drive and an EVGA Supernova 1,600-watt PSU. 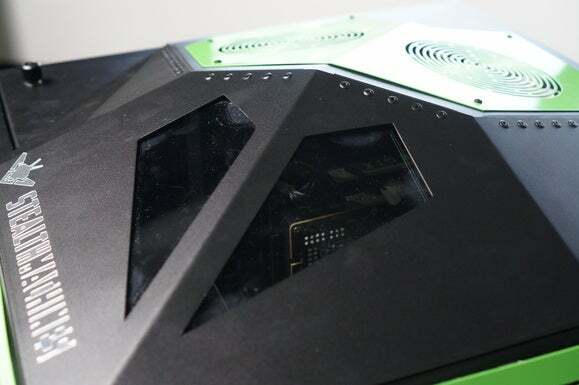 With the CPUs costing almost $8,000 alone, this is not a cheap build by any stretch of the imagination—Stealth Machines puts the price tag at $15,000. Granted, the NightHawk 2 may fly high above many people's budgets, but you’ve got to give Stealth Machines props for coming up with something truly different. Ducted fans keep air moving through this PC.